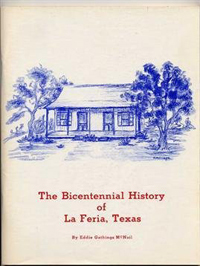 The following story is a chapter from a long out of print and rare book entitled The Bicentennial History of La Feria, Texas. This history book was written and self published by Eddie Gathings McNail in 1975. Throughout the coming year we’ll be reprinting sections of her research into the history of La Feria as the city celebrates its 100 year anniversary. Colonel José de Escandón, El Conde de Sierra Gorda, who was a promotor and a land developer, came to Texas in 1749 and established a number of permanent settlements: Laredo, Reynosa and Dolores, which were north of the Rio Grande River. He set up a system of irrigation in order to water the fertile land of what is now Texas. What he accomplished in his nine years of land development has not often been sufficiently recognized. He laid out twenty-three towns, founded missions, opened roads and established settlers from 1746-1755. For his service to the Spanish Crown, he was awarded the title of El Conde de la Sierra Gorda. In truth, José de Escandón was the Father of the Lower Rio Grande Valley. He lived in Queritaro, Calle 18 Hidalgo, and his house was called La Casa de los Condes. Within the boundary of the United States, the only recognition that has been given him officially is a centennial monumment erected in Rio Grande City by the State of Texas in 1956. The Spanish settlers from Mexico brought with them large herds of cattle, goats and sheep. In 1749, the census showed that the settlers’ dominant interest was in stock raising. 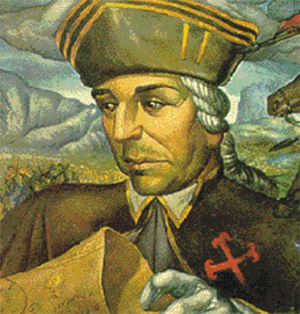 José de Escandón, South Texas colonizer, was born in Soto la Marina, Santander, Spain, on May 19, 1700, one of three sons of Juan de Escandón and Francisca de la Helguera. He is known as the colonizer and first governor of the colony of Nuevo Santander, which extended from the Pánuco River in Mexico to the Guadalupe River in Texas. He founded over twenty towns or villas and a number of missions in the colony, including Camargo, Reynosa, Mier, and Revilla south of the Rio Grande and Laredo and Nuestra Señora de los Dolores Hacienda north of the Rio Grande. For his colonization efforts Escandón is sometimes called the “father” of the lower Rio Grande Valley. Photo: Google, Artist Unknown. Jose Maria Balli’s grant from the west Cameron County line to the present town of La Feria and from the Rio Grande River for a distance of fifteen miles to the north was given to his wife, Rosa Maria Hinojosa de Balli in 1790. The La Feria town site is part of this grant, one of the oldest along the border. Most Spanish grants were not made to women except in a case where the husband died before the grant was consummated. This was the circumstance under which Doña Rosa Maria Hinojosa de Balli was granted La Feria. Ranches dotted the land between La Feria, the Fairgrounds, wehre horse racing and fiestas were held in September of each year. At that time the main road north was named Rodeo Road. Don Anastacio Longoria, Rosalio Ponce Longoria’s father and Abel Longoria’s grandfather, owned Petticoat Ranch which is now Central Park on South Main Street, just south of the First United Methodist Church. 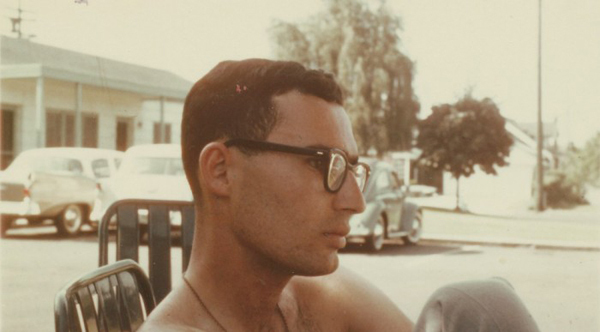 The Rio Grande delta was wild country, but Brownsville was here. There were missions, founded by the Franciscan fathers of the Catholic Church who were the unsung heroes of South Texas. There were banditos, rattlesnakes, chaparral, heat and dense brush. 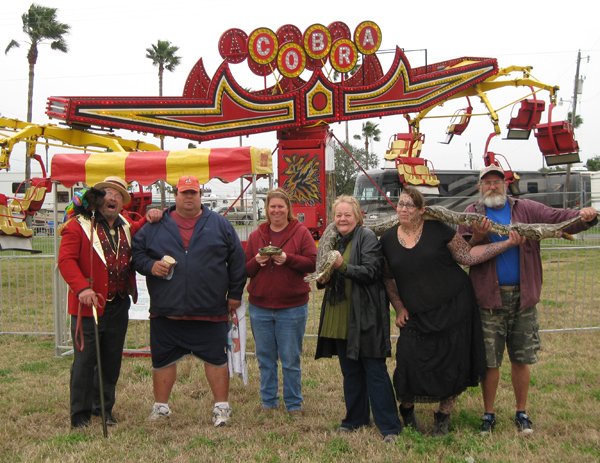 There were no palm trees, flowering shrubs, vegetables, cotton, grain and citrus orchards. There were cacti, mequite, and grass enough for goats, sheep and longhorn cattle. There were no bridges across the Arroyo Colorado. In those days to get to Brownsville, the County Seat of Cameron, from La Feria by horse, buggy or wagon, one had to follow a trail to Bixby, turn south to Santa Maria and follow the winding dirt road, called the Military Highway, on the turbulent Rio Grande to Brownsville. The first physician was Dr. Alfred Ahlman who owned the La Feria Drug Store. Some of the first citizens were Tom Marshbanks, P.B. Branch, Charles Frazer, Tom Fitch, W.E. Steward, Walter McNeil, John Bruce, W.V. Fifield and Fank W. Kibbee. The first freight train sided at the station of La Feria and set out two cars on October 29, 1910. Rosa Hinojosa de Ballí, a rancher known as La Patrona and the first “cattle queen” of Texas, was born in 1752 in what is now Tamaulipas, Mexico. She was the sixth of the nine children of Capt. Juan José de Hinojosa and María Antonia Inés Ballí de Benavides, Spanish aristocrats whose status as Primitive Settlers gave them priority rights to extensive land grants and public offices. The family moved to Reynosa in 1767, after Hinojosa was appointed alcalde, and joined the elite group of wealthy families who controlled the jurisdiction. Rosa María was educated in Reynosa, probably by the parish priest. 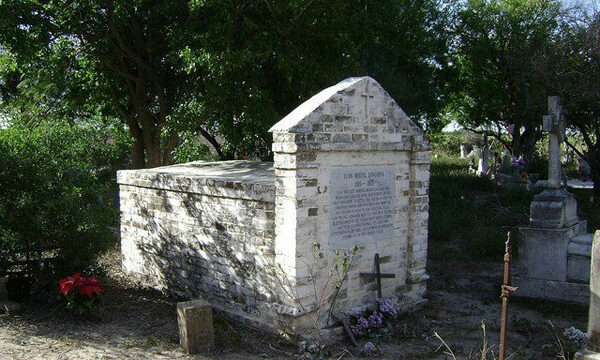 She married José María Ballí, a captain of the militia; one of their three sons was José Nicolás Ballí, missionary developer of Padre Island. Captain Ballí and his father-in-law applied jointly for a large land grant in the La Feria tract, but both men had died by the time the grant was approved in 1790. Ballí’s will specified that Rosa María was to inherit his share of twelve leagues (55,000 acres). When Doña Rosa took over the estate it was heavily encumbered with debts; by the time of her death thirteen years later, she had doubled the property and made extensive improvements to the La Feria grant. Skillfully and deliberately, she built up her landholdings. In the name of her brother Vicente she financed an application for thirty-five leagues of land in the Las Mesteñas tract. When the grant was approved, Vicente transferred title of twelve leagues to her, and she named the property Ojo del Agua. The city of Harlingen is situated on it today. She applied in the name of her son Juan José for seventy-two leagues in the San Salvador del Tule grant and bought the Las Casteñas tract from the original grantees for her son José María . 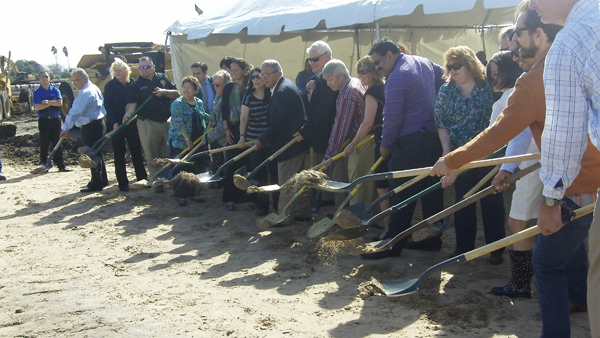 She made a joint application with her son Padre Nicolás , who eventually became her business associate, for eleven leagues of what is now Padre Island. When reapplication was required in 1800, Doña Rosa withdrew her name in favor of her grandson. 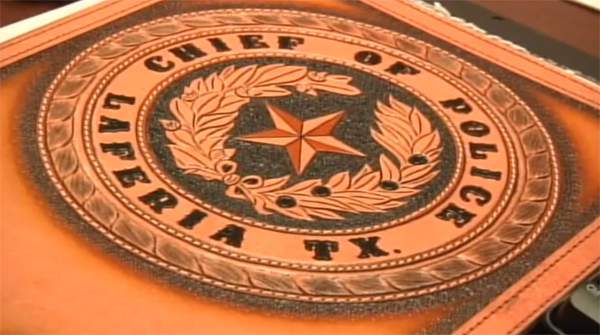 She oversaw her lands from her La Feria ranch headquarters, La Florida, in what is now Cameron County. She amassed large herds of cattle, horses, sheep, and goats, and her ranches were territorial landmarks. Doña Rosa was perhaps the most influential woman of her time and place. She took full advantage of the opportunities that only widows could enjoy in Spanish society. Devoutly Catholic, she built and maintained a family chapel and endowed churches in Reynosa, Camargo , and Matamoros. At the time of her death in Reynosa in 1803, she owned more than a million acres of land in the lower Rio Grande valley, and her holdings extended into the territories of present-day Hidalgo, Cameron, Willacy, Starr, and Kenedy counties. BIBLIOGRAPHY: Vidal Covián Martínez, Cuatro Estudios Históricos (Ciudad Victoria: Universidad Autónoma de Tamaulipas, Instituto de Investigaciones Históricas, 1977). Minnie Gilbert, “Texas’ First Cattle Queen,” in Roots by the River (Mission, Texas: Border Kingdom, 1978). Florence J. Scott, Royal Land Grants North of the Rio Grande, 1777-1821 (Waco: Texian Press, 1969). Written by: admin on February 3, 2015. Very interesting article. Enjoyed reading about the land grants. That’s my ggggggrandma Awsome to see what she once owned,then to find out how the corrupt republic of and then state of Texas took it all.